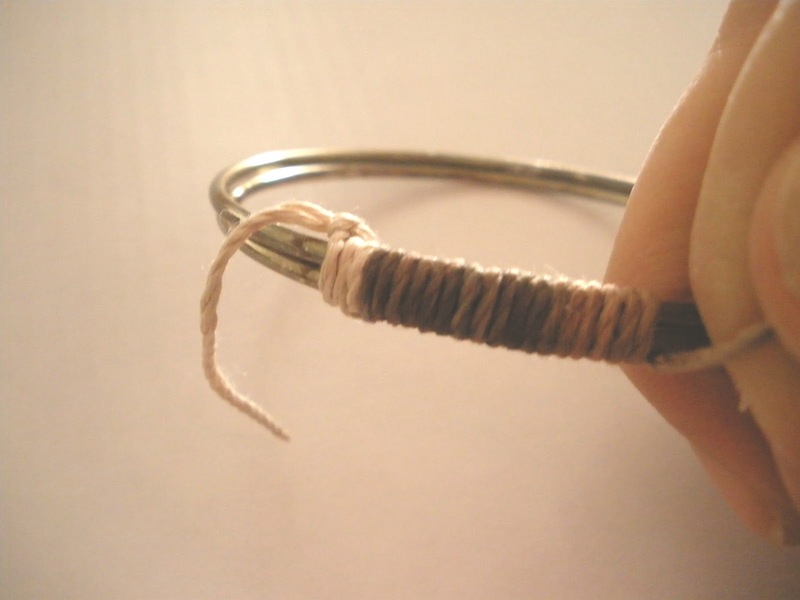 This DIY is very simple and only takes about 5 minutes. If you don't have one of these I'm sure you will want one now. 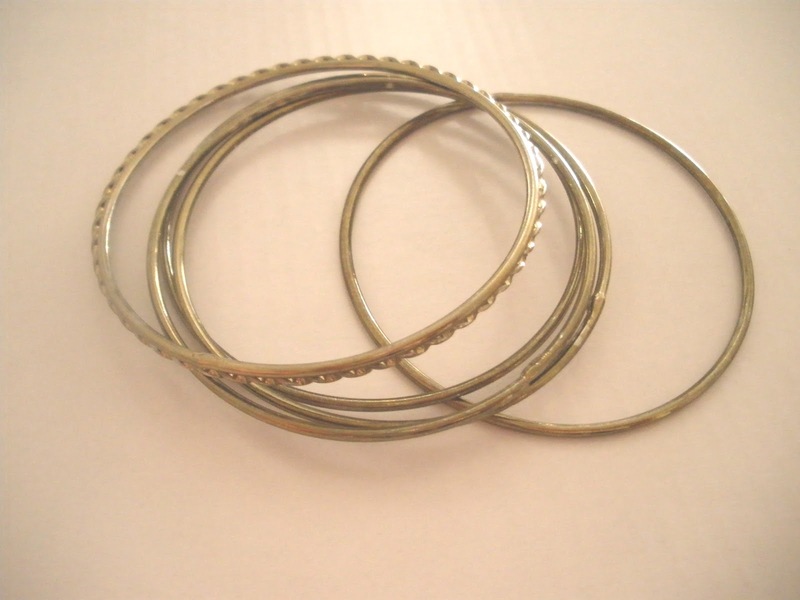 Most girls have these bangles piled up in their jewellery boxes somewhere. 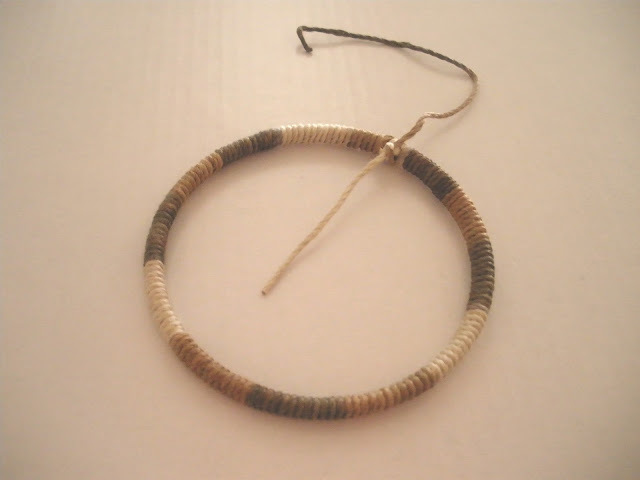 If you don't then you can find them anywhere in packs of dozens from any accessory store, departure store, dollar store, and/or thrift store. You can use any size, thickness, material, or colour. I will be putting two small ones together to create a thicker bracelet. 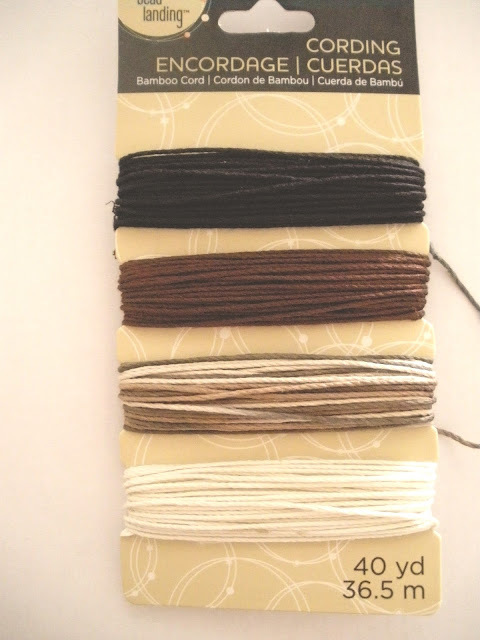 Pick a colour of string. 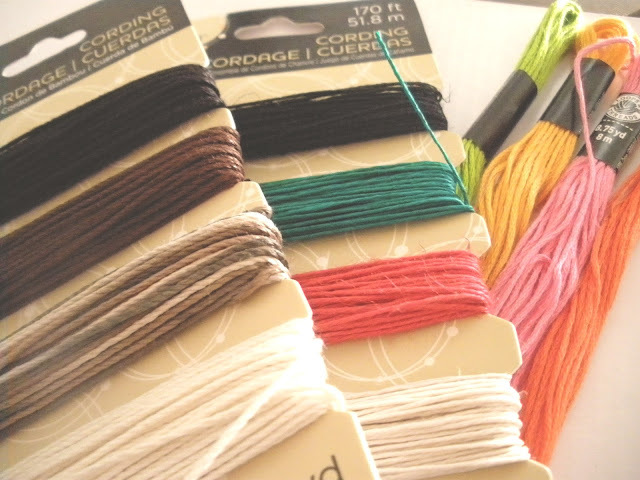 I'm using bamboo cording from Michael's, but you can use anything really. I chose to use the second from the bottom of the pack since it would give me a cool effect. 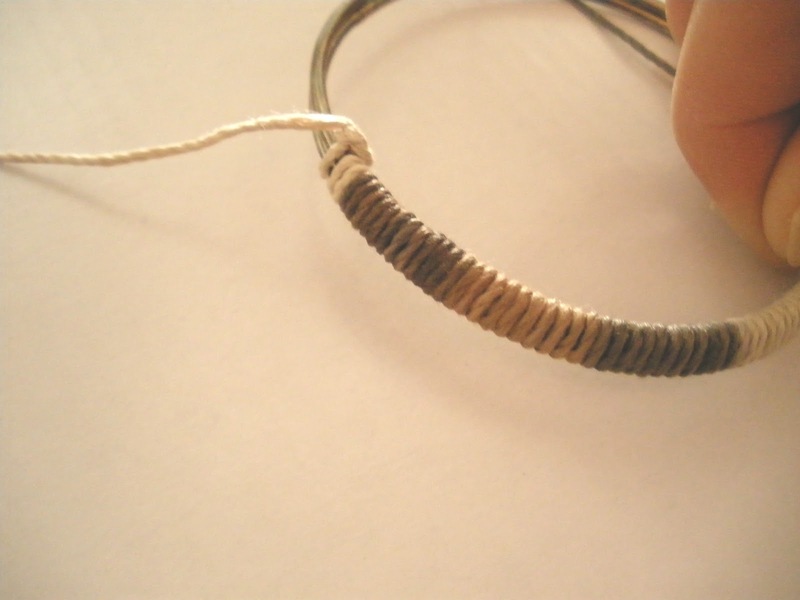 Cut about 6 feet of string (give or take on how thick your bracelet is and how thick your string is). 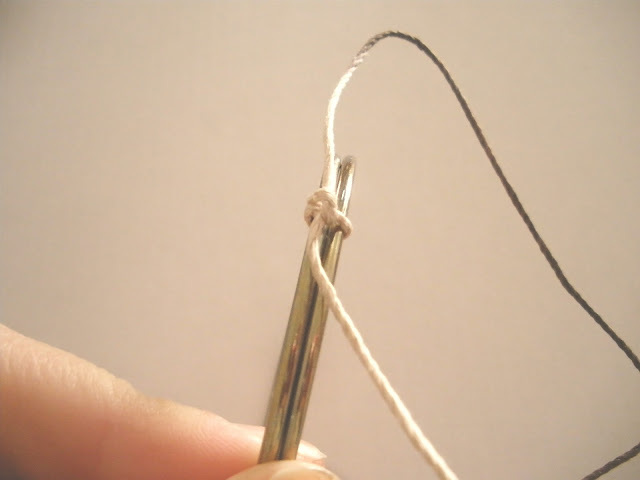 Don't worry if you run out of string you can always add in another piece, but it looks best with one continuous one. Tie a good knot with your string and start to wrap the bracelet over and over again until you get all the way around. 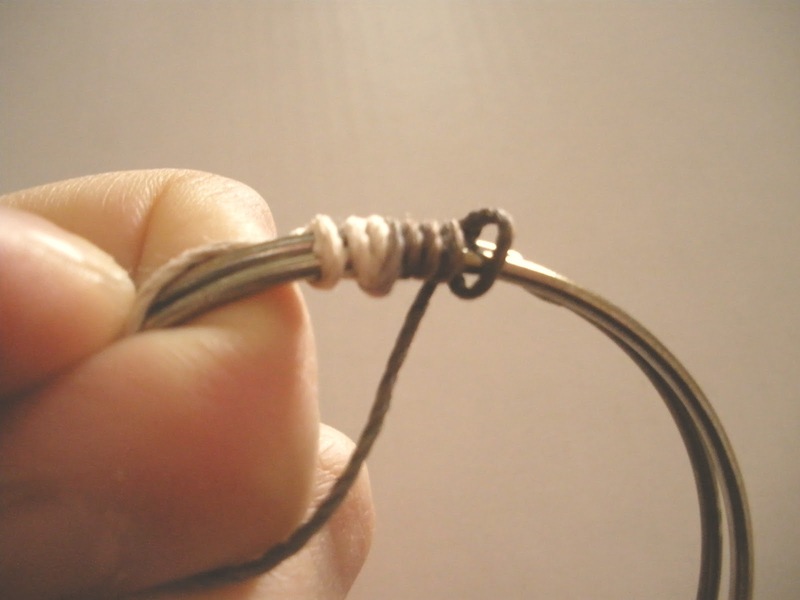 Then make sure you tie off the end with more knots. If you wanted to make sure it was even more secure you can always add a dab of crafting glue. 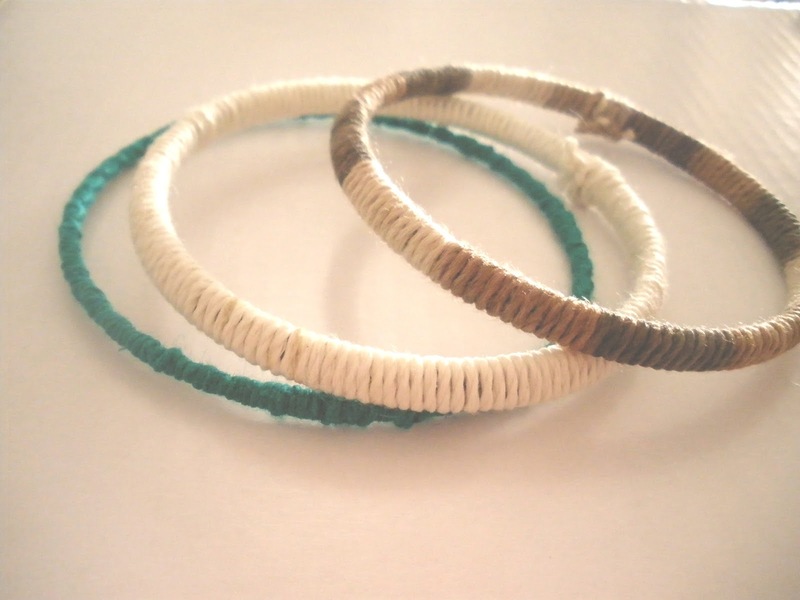 Cut off any excess pieces and you got yourself a super cool wrap bracelet. Posted by SCG at 9:58 p.m.
Bruno Iarussi October 8, 2013 at 5:53 a.m.
A charm bracelet is an item of jewellery worn around the wrist. 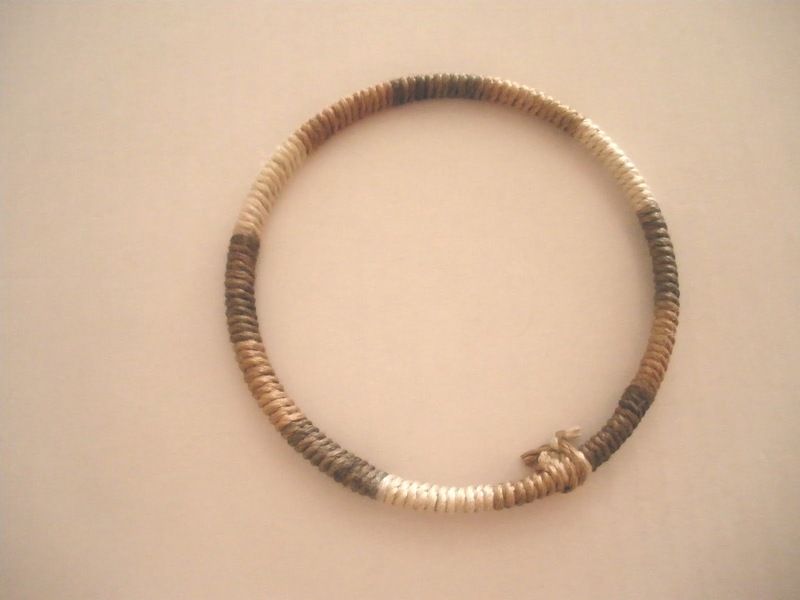 It carries personal "charms": decorative pendants or trinkets which signify important things in the wearer's life.